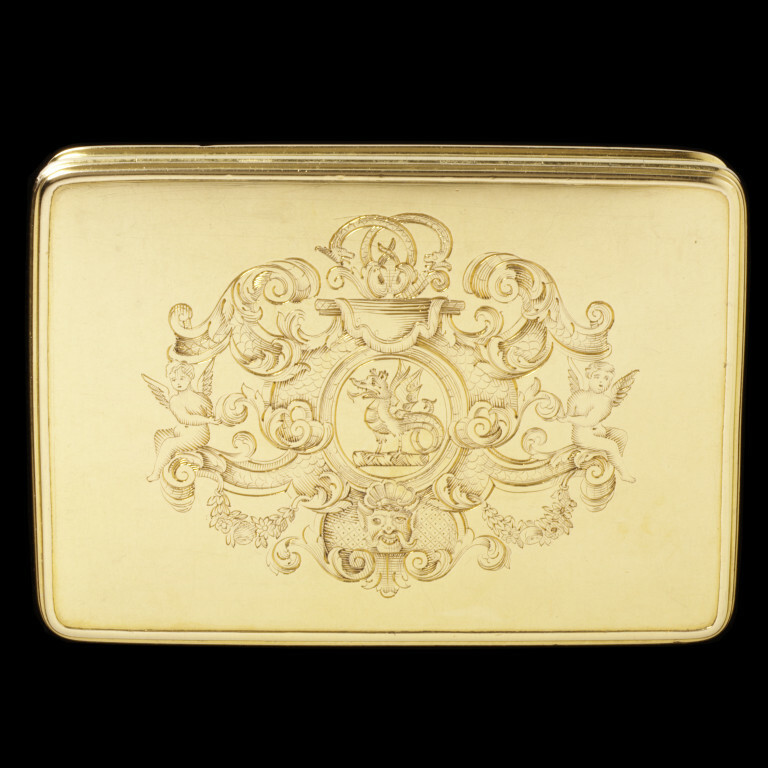 This box was made to contain snuff, a form of powdered tobacco. 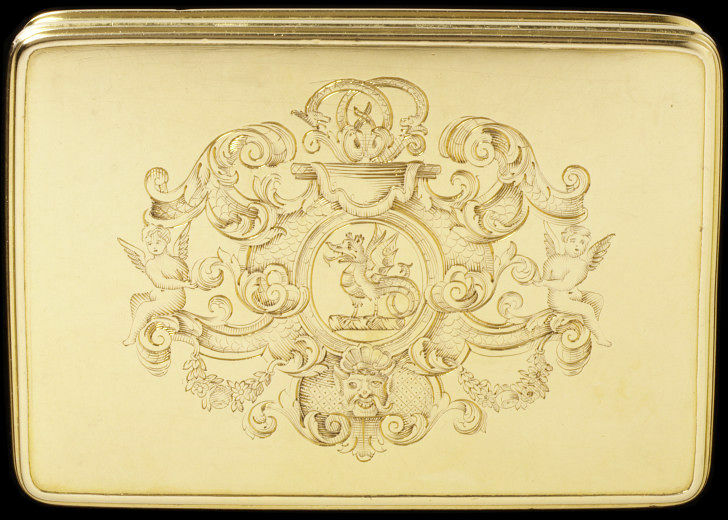 It bears London marks for 1718-19, an early example of full hallmarks on a London gold box.. The box had an eventful history during World War II. It was the personal box of Martin Norton (1911-2005) of S. J. Phillips Ltd. of New Bond Street, London. He was one of the great international figures among the dealers in jewellery, silver and gold boxes. The box was in his pocket when his ship was torpedoed crossing the Atlantic. His family delights in the story that, when he reached land and rang his wife, her first question, knowing what his primary concern would have been, was 'Is the box safe?'. This box had an eventful history during World War II. It was the personal box of Martin Norton (1911-2005) of S. J. Phillips Ltd. of New Bond Street, London. He was one of the great international figures among the dealers in jewellery, silver and gold boxes. The box was in his pocket when his ship was torpedoed crossing the Atlantic. His family delights in the story that, when he reached land and rang his wife, her first question, knowing what his primary concern would have been, was 'Is the box safe?'. Gold box, probably made by Paul Hanet, London, 1718-19. Engraved with a crest, a wyvern. Norton, Richard and Martin. 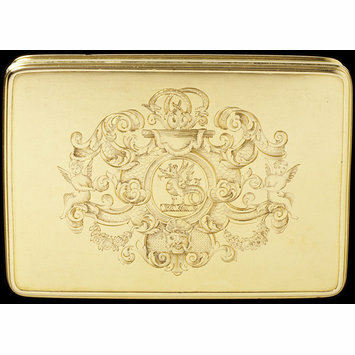 A History of Gold Snuff Boxes. London: S. J. Phillips, 1938, pp. 98-9, plate 35A.